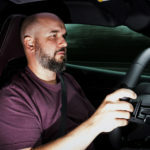 Time well spent, in our minds, relates to not having to drive and enjoying either the scenery or the company aboard the car itself – this is another way to describe an autonomous car. Volvo has specified that 1/3 of its car will be autonomous by 2025. There’s no better time to get the ball rolling than now. Although we see nothing of the cabin, the LED light bars are quite obvious as are the fins! Yes, fins, like the ones found on the legendary and classic P1800! Back in the 80s, and in Europe, there was such a thing as a Volvo 360 but we’re convinced there’s no link between the two cars other than the name. Next articleBMW M8 Gran Coupé styling revealed!